If we wish to not stumble back into a new dark age, we must do everything humanly possible to avoid the fall of civilization. On a global scale, this means securing our aging power grids from natural disaster or attack, stockpiling key resources such as food, medicine, and water in protected shelters in all major cities, and hardening more military and civilian equipment such as radios, vehicles, and generators. Countries also need to work together instead of against each other to prevent a global catastrophe. If we fail now to reach outer space and tap the plentiful resources there, humanity may be doomed to a limited existence on Earth, disaster torn and eventually reduced to a patchwork of wandering groups in a hostile and energy-starved environment. Subsequently, we may plateau at a much more primitive stage of development than what we have now. Civilization could be set so far back that we would never be able to travel into outer space again. Children in the new world would read about the old ideals through tattered history books, flipping past images of great cities and rocket ships from what was once a grand civilization largely devoid of the problems they now faced. Idiocracy (2006) is a satirical science fiction comedy movie set in a dystopian future 500 years from present day. All of the modern conveniences are exaggerated, such as microwave meals, easy access to goods, and a sense of individual freedom and superiority. Society is seen to have long ago reached its peak of intellectual greatness, now instead being pictured as a dumb society reliant on the system for literally every facet of life. Intellectualism is viewed as a threat, and technological progress has screeched to a halt. While life continues on, it is evident that eventually the species itself is destined to having a reduced intelligence, progressing within a handful of generations to a stage not much smarter than the great apes themselves. Whether it’s an immediate disaster, or the slow decline of our species intellectual capacity (‘intellectual fatigue’ as I call it), I personally do not want to ever find myself in that kind of crumbling world. What a tragedy it would be if civilization never recovered from a natural disaster or, worse, a disaster of our own making. One thing is certain if we ever had to rebuild–for better or worse, the way of life for future generations would never be as it was for those who lost so much the first time around. 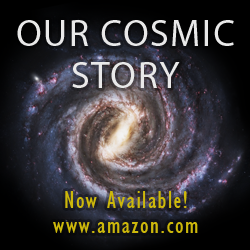 Humanity is currently fighting to stay afloat on the great cosmic barge that is the Earth. Achieving a permanent space presence would present a real jackpot: the resources we can harness from Near Earth Objects (NEOs) like asteroids and the moon. The process of colonizing space can start as a business venture of mining asteroids. Even a medium-sized asteroid contains plenty of water that can be broken down into hydrogen for fuel and oxygen for air, not to mention the billions of dollars’ worth of rare metals. Eventually colonies could be established on Earth’s moon, and thereafter on the moons of the outer gas giants. All is conceivable with today’s great thinkers working on getting us to this point. Expanding our civilization’s presence in the solar system – or maybe even throughout the galaxy – will not be easy or quick, just as it wasn’t for the first explorers who crossed the Atlantic ocean. The exciting part is that the possibilities are endless, just extremely challenging to get started. While sentient creatures traveling through space might be a temporary blip in the evolution of the Universe, humanity has proven that it can be accomplished at least once. We should refuse to stall our trek to the stars when we haven’t even left the proverbial driveway. Exploring the rest of our cosmic suburbia may prove to reveal only empty houses, but it’s worth every effort because knowledge of the cosmos is empowering to humanity. As far as can be ascertained, we embody the Universe’s best and perhaps only opportunity of leaving a legacy worthy of its existence. Carl Sagan’s saying “We are a way for the cosmos to know itself” could be applied locally in the sense of “We are a way for the Earth to save itself.” We might one day learn how to prevent natural disasters from occurring. We might also one day learn how to push the planet into an orbit further from the sun in order to escape the sun’s increasing heat. Moving the orbit of the planet may sound extreme, but it should be viewed as a very large engineering challenge to meet and not as an impossibility. The International Space Station (ISS) is one of many important stepping stones to reaching other locations in the solar system and beyond. All of the other planets and their orbiting moons will provide valuable construction real estate, as well as raw resources, to help encourage our species to reach even further. These worlds will allow us to run experiments which would be impossible on Earth. Many of those experiments will be critical to ensuring the survival of future generations of space explorers that will not have the luxury of returning to Earth. For instance, it is extremely costly to build a telescope and launch it into space. We would need to spend several billion dollars, and there is great risk of it blowing to smithereens upon launch. If permanent colonies were established in space, telescopes could be built directly there, and be far larger and more effective than anything we could ever launch from Earth. Telescopes could be so massive, in fact, that we could easily peer at the atmospheres of millions of other worlds to see if they have life upon them. At the very least, space will be impossible to overcrowd. There are enough rocky surface areas in the inner solar system alone to theoretically support trillions of humans and animals, not to mention countless locations for space stations. If the public views space travel as not worth the risks, then we need to do better to educate the public. Human civilization’s time to colonize space is now, for we may not get a second chance. As we will explore in Our Cosmic Story, this might be equally true for every budding civilization in the Universe. One shot to colonize space is perhaps all that anyone ever gets.